Larry Dyke is the consummate landscape painter. And few artists are able to capture the movement and reflection of water as he does. 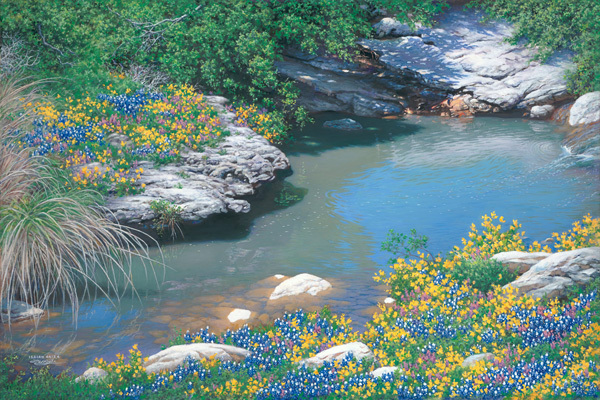 This stream, as it flows through the rocky path, nourishes the soil as the colorful flowers "Spring to Life." Gaze into these crystal waters and watch as the many beautiful blooms are given life.